When prominent Swiss denier Jürgen Graf is not calling Filip Müller, Rudolf Vrba and Elie Wiesel "bald-faced liars and swindlers", he is busy misrepresenting the pioneering historian of the Holocaust, Raul Hilberg. Not content with writing an entire book attacking Hilberg, albeit of less than 10% of the length of The Destruction of European Jews, Graf has also attacked Hilberg's recent methodological work Sources of Holocaust Research. Graf calls Hilberg 'incurably autistic' - the question is, is he projecting or simply making up fairy-tales again? Let's see. A case in point: Graf's discussion of the infamous Einsatzgruppe A Report on the Final Solution in the Baltic States and in particular the Jäger Report on Lithuania. In Schaulen, around 4,500 Jews." Simple addition shows that the total number of allegedly liquidated Jews, when added to those still living in ghettos, is a great deal higher than the number of Jews present before the German invasion. Stop right there. Graf is evidently too stupid to remember, or deliberately doesn't want to remember, that Lithuania as of 1941 incorporated the Wilno district, which was inhabited by 110,000 Jews in 1931, and swollen by many refugees from western Poland between 1939 and 1941. Wilno (today, Vilnius) was home to up to 80,000 Jewish inhabitants by the outbreak of war. Already, that's 42,637 executions not carried out on the inhabitants of the same territory as Lithuania in 1923. Of course, Graf does not bother to do anything as elementary as look at the statistics, does he? So he continues to dig himself deeper into a hole. The same operational report for the adjoining country of Latvia states that around 25% of the Jewish population there had fled with the Bolsheviks. No corresponding exodus is mentioned for Lithuania, however. Because Lithuania was overrun in less than one week, whereas Latvia was farther away from the border. This is very puzzling because the Lithuanian Jews had as little reason to expect good things from the Germans as did the Latvian Jews. Jewish participation in the Bolshevik terror there had been proportionately much greater than in Latvia and had enraged the native population. Here, naturally, Graf shows his double standards, by failing to cite a single source for this antisemitic 'Jew/Bolshevik' canard. A large part of the Lithuanian Jews had lived in regions, which had been annexed to the Reich after the German conquest of Lithuania. At the time of the Einsatz report these Jews were still alive. According to Gerald Reitlinger, there were 40,000 such Jews in the area of Grodno at that time. According to the Korherr report, 18,435 Jews still resided in the Königsberg region at the end of 1942. Can anyone be more stupid? Grodno was never in Lithuania, not even under the Tsars. It belonged to the Bialystok voivodship under Poland, and to the Bialystok oblast under the Soviets. As for the citation in the Korherr report of Jewish workers remaining in East Prussia, this, too, explicitly refers to the Bialystok district of Poland/Belorussia, not to Lithuania. 18,435 Jewish workers of 'Soviet Russian' nationality are recorded, and just 96 others. 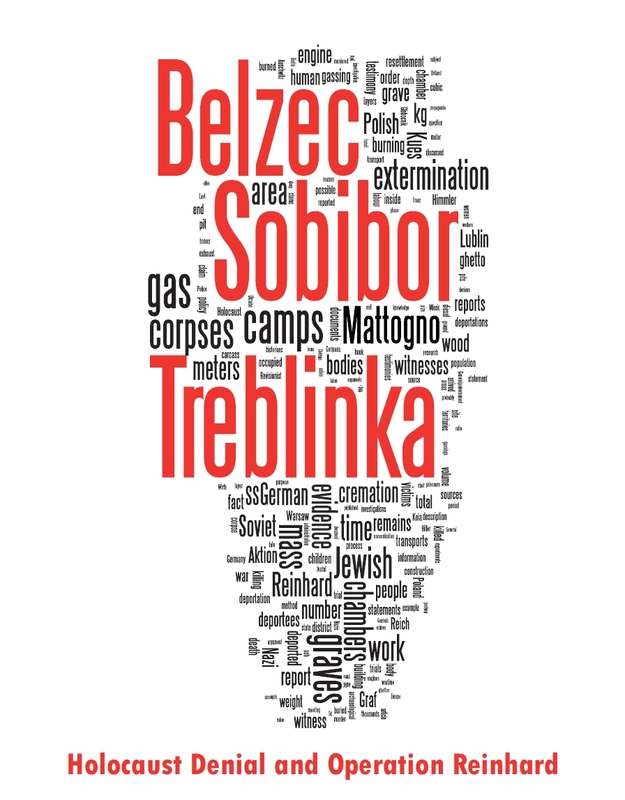 By July 18, the renamed Einsatzkommando Tilsit had executed 3,302 victims. According to statistics prepared in Lithuania and based on original documents from the war years, there were 3,693 children plus a large number of elderly persons (up to age 90) who were living in the ghetto of Vilnius at the end of May 1942. Since they were unfit for work, one would expect that these Jews would have been the first victims of any policy of extermination. In a report on schools in Vilnius, the Jewish American author Abraham Foxman points out that in October 1942, 1500 to 1800 children were receiving instruction there. On 23 October 1941, Murer distributed 3,000 yellow coloured Scheine (certificates / permits), among the Jews in Ghetto 1. A Gelbschein enabled its bearer to register three additional family members, who carried blue permits. 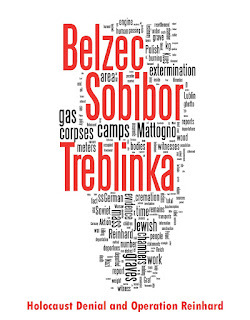 The surviving dependants were deported to Sobibor and gassed there in September 1943. Why so late? There are many local factors, not least the interventions of courageous Wehrmacht officers to protect the families of their key workers in maintenance workshops. And why should Graf assume that German policy was always the same everywhere? Finally, no denier rant would, of course, be complete without a reference to the physical evidence. Finally, material evidence of a mass murder of Jews in the alleged numbers is totally nonexistent. In the Lithuanian city of Marijampol in 1996, it was decided to erect a monument to tens of thousands of Jews who had allegedly been shot by the Germans. They began excavations at the site designated by eyewitnesses in order to locate the mass grave, but lo and behold, there was nothing there. Even if the Germans had posthumously exhumed and cremated those tens of thousands of corpses, as Hilberg and his consorts allege, any mass grave would still be easily identifiable because of altered configurations of the soil. Alas for moonbat Graf, this canard has been proven wrong and debunked. Under these circumstances, a conscientious historian would not unquestioningly accept field reports as an infallible source. Under these circumstances, a conscientious historian would make sure he or she has read the document correctly, and then tries to remember not to get his or her geography mixed up, before finding other documents that help confirm the source, and remember not to pontificate about missing physical evidence that was in fact found. It seems the only one suffering from incurable autism around here is Jürgen Graf.